"Sampath Speaking" - the thoughts of an Insurer from Thiruvallikkeni: WI India T20 at Chepauk - boils down till last delivery !! WI India T20 at Chepauk - boils down till last delivery !! Matches are not won till the last delivery ~ is an old cliché !! T20 International at Chepauk – India Vs once mighty West Indies – yet it did not tempt me to go the stadium, nor to watch it on TV live .. I had some glimpses while having my dinner and the last 3 overs ! ~ Cricket is always enticing ! despite the fact that I could not recognize most players in the line-up that reads : Hope, Hetmeyer, Darren Bravo, Dinesh Ramdin, Pooran (who ! 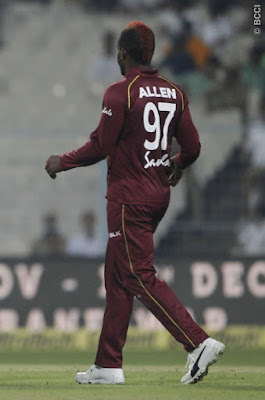 ); KA Pollard, CR Brathwaite (c), FA Allen, KMA Paul, K Pierre, O Thomas .. .. generally MI would not utilize Pollard and would send him when 20 odd balls would remain ~ WI too adopts the same strategy or worser still !! Did see Pooran bat – played some audacious shots – he scored 50 off 25 balls – read that he is a wicket-keeper from Trinidad & Tobago. In 2015 when he was to enter big league, he was injured in a road accident requiring surgery on the leg. He was subsequently withdrawn from T&T's squad. In 2017, IPL he was grabbed by MI for a base price of 30 lakhs, but do not remember him playing any of the matches. Eleven days after being snapped up by Mumbai Indians in the IPL auction, he was suiting up for Islamabad United in the PSL playoffs against Karachi Kings. A week later he walked out to bat in a bright yellow outfit for City Kaitak in the Hong Kong T20 Blitz. WI played him as a batsman having Dinesh Ramdin as keeper and he excelled besides his two sixers of Bhuvaneswar Kumar, his switch hit off Chahal that sailed over square leg was a great shot. Just as we appreciate switch-hits (remember Krish Srikkanth sweeping Martin Sneeden – Gatting getting out to a reverse-sweep and switch hits of Kevin Pietersen and Paul Nixon) – but there appears some different rules for the bowlers - unique bowling action - the bowler rotating 360 degrees in his run-up, just prior to delivery - received signal of dead ball from the umpire. The incident occurred on the third day of a CK Nayudu Trophy (four-day domestic tournament for India's Under-23 state teams) match between Bengal and Uttar Pradesh in Kalyani, on the outskirts of Kolkata. During Bengal's second innings, UP left-arm spinner Shiva Singh - a member of India's victorious team at this year's Under-19 World Cup - jogged in and completed a 360-degree turn before delivering the ball. Umpire Vinod Seshan promptly signalled dead ball, to the bemusement of Shiva and the UP fielders. ESPNcricinfo stated that the game came to a brief halt as Seshan discussed the incident with his on-field partner Ravi Shankar before telling Shiva and UP captain Shivam Chaudhary that a repeat offence would force the umpires to continue deeming the balls as 'dead'. Rule 20 was invoked. 20.4.2.7 there is an instance of a deliberate attempt to distract under either of Laws 41.4 (Deliberate attempt to distract striker) or 41.5 (Deliberate distraction, deception or obstruction of batsman). The ball shall not count as one of the over. Have not so far heard of Fabian Anthony Allen, who bowls slow left-arm spin and he bowled the last over of T20 – I thought WI had given up – but it was to be different in the 3rd T20 I at Chennai today. Windies made a competitive 181/3 and India won by six wickets off the last ball – but that would never unravel the drama. Shikhar Dhawan scored 92; Rohit 4; KL Rahul 17; Rishab Pant 58; Manish Pandey 4 & Dinesh Karthik did not face a ball. 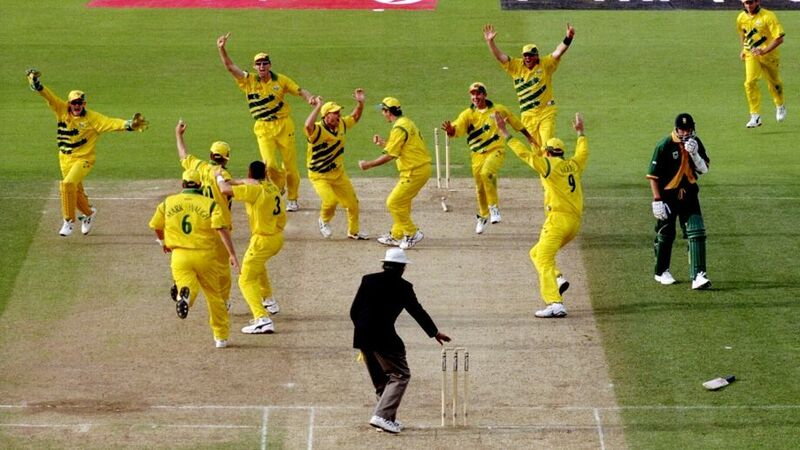 Way back in 1999 at Birmingham in WC, SA earned the name of chokers and would often be remembered for that final over. Shaun Pollock and Allan Donald fired to restrict Australia to 213 and Steve Waugh's side was in serious danger of being overhauled easily before Shane Warne conjured 4 for 29. However, Lance Klusener swung mightily - too strongly for the deep mid-on, Paul Reiffel, who dropped his 49th-over bullet and parried it for six - and South Africa wanted nine from half a dozen balls. Klusener had only Donald for company. After 48 – 18 were required with 3 wickets in hand. McGrath had Boucher and S Elworthy was run out – leaving 9 off the last 6 with the last pair of Klusner and Alan Donald. Klusner scored 2 boundaries of first 2 off Fleming; then Darren Lehman fumbled a run out choice – and then Lance Klusner in panic ran and Donald did - run out – Aussie winning ! Today after 18 overs India required 8 runs off 12 with 8 wickets in hand – match all over one thought ! Pant tried something extravagant – had his middle stump totally exposed and uprooted – Manish Pandey struggled against Paul – finally scoring 2 off the last. Paul to Pant, OUT, smashes middle stump. Pant wants to open the face and ramp this through the gully region. Gets the front leg well out of the way and pokes at it with the face open. The physics just won't work on that. It's a yorker aimed in at middle stump from around the wicket. But it's been that kind of innings, and it has been rewarding for him. 3 runs and a wicket off 19th and India required 5 off 6 deliveries. Fab Allen to bowl the last over and I was not impressed !! Dhawan scored 2 off the first ; single to Dhawan and another to Pandey – off the 4th Dhawan ran down and flicked it straight to square leg – no runs and Dhawan got out off the 5th – so one off the last ball – Pandey tapped gently towards short mid-on – the bowler and the mid on could easily have stopped it and effected a run-out – WI fielding fumbled with a certain runout chance – and India won by a whisker ! !